Pendant in the form of a key is always in great demand. This is a universal decoration, which is enjoyed with pleasure by both teenagers and grown-up ladies. I draw your attention to the fact that the pendants are rather thick and heavy, as they should be. They do not look like a Chinese counterfeit. They look very expensive and elegant. 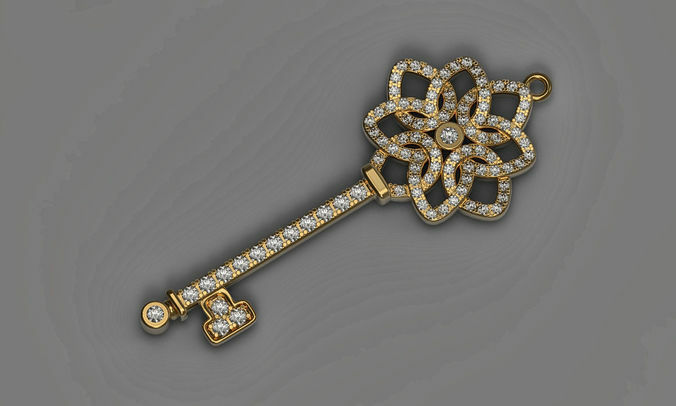 3d model is executed very qualitatively taking into account all sizes for further jewelry production. All my models are printed on a 3d printer and cast in metal. You can see the finished product on the photo.